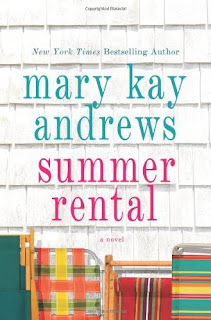 I'm pretty excited today to share that I am hosting a giveaway for an audio book of Summer Rental by Mary Kay Andrews. 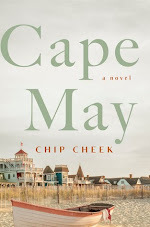 I've been wanting to read this book for many reasons, but one being that it takes place at the Outer Banks. 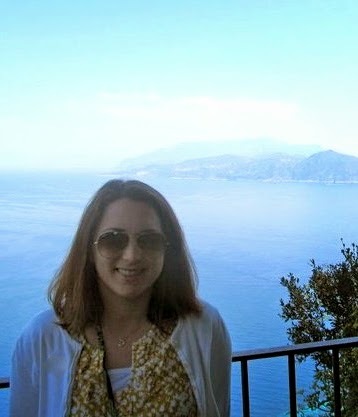 If you follow my blog, you know I just got back from vacation there this past week. I adore the Outer Banks! I don't know about you, but I love to listen to audio books on the long drive to the beach and this one would be perfect! Isabel Keating returns to narrate her sixth Mary Kay Andrews audiobook, and the program includes a bonus conversation between the author and narrator where the two discuss everything from Andrews’ passion for old homes to the southern background they both share. 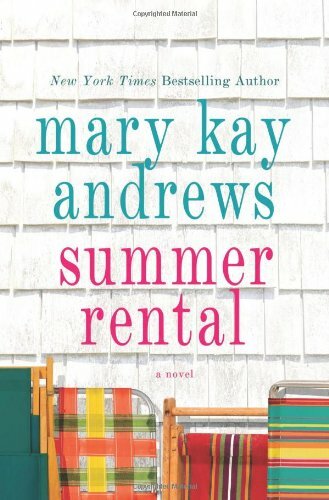 Keating, a big Andrews fan, praises the immersive quality of Summer Rental saying “I still am vibrating with the scenario that you created there in Nags Head, it’s just as if I were there,” while Andrews divulges the impetus behind her writing: “I want to give my readers joy” she explains in the interview. “If I can give my readers a big juicy peach of a book, then that makes me happy and it makes them happy, and when they’re happy then it’s all good and it gives me more motive to keep writing.” This is one that will appeal to both long-time Andrews fans and those newer to her work. Ellis, Julia, and Dorie, best friends since Catholic grade school, now find themselves, in their mid-thirties, at the crossroads of life and love. Recently fired Ellis is rudderless and now beginning to question the choices she's made over the past decade of her life. Wry Julia has a man who loves her and is offering her the world, but can't hide from how deeply insecure she feels about her looks, her brains, her life. And trusting Dorie has just been shockingly betrayed by the man she loved and trusted the most in the world…though this is just the tip of the iceberg of her problems and secrets. A month in North Carolina's Outer Banks is just what they each of them needs. Ty Bazemore is their landlord, though he's hanging on to the rambling old beach house by a thin thread. After an inauspicious first meeting with Ellis, the two find themselves disturbingly attracted to one another, even as Ty is about to lose everything he's ever cared about. Maryn Shackleford is a stranger, and a woman on the run. Maryn needs just a few things in life: no questions, a good hiding place, and a new identity. Ellis, Julia, and Dorie can provide what Maryn wants; can they also provide what she needs? Five people who each need a sea change, and one month in a summer rental that might just give it to them." How fabulous does this audio book sound? It's perfect for summer! If you can't wait to get your hands on this, Summer Rental audio book is available now from Macmillan Audio. You don't need to be a blog follower in order to enter, but I really appreciate my followers and always give them an extra entry. This giveaway is limited to a US mailing address. The deadline is August 7th. Please refer to my giveaway rules. Thank you to Esther from Macmillan for allowing me to host such a fun giveaway! In order to enter, please fill in this form. Thank you for sharing about this book today and for the lovely giveaway opportunity.